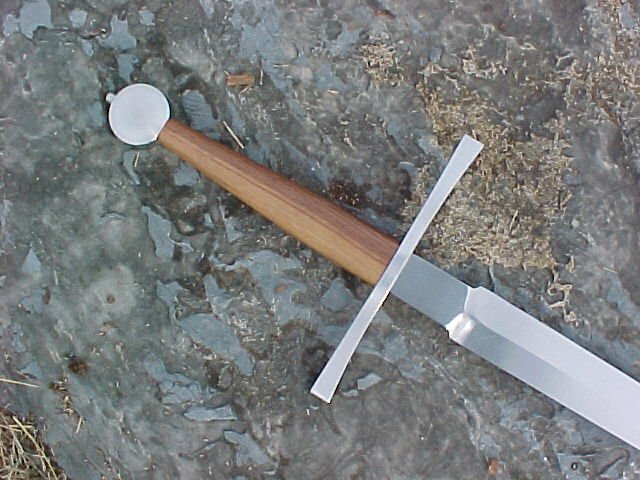 This is an Angus Trim longsword from the now departed Parting Strike Swords. 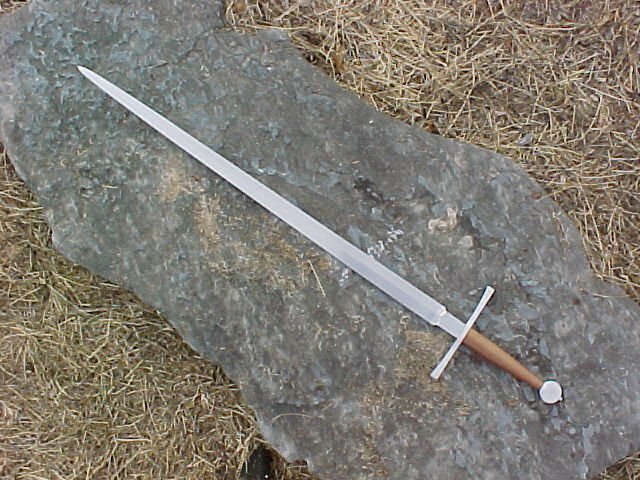 I love this sword, and have had to think long and hard about selling it, after having bought some rather expensive new swords recently, and with two Albion Mark next Gens on the way, as well as a custom A&A rapier, I simply HAVE to sell something. Asking: $375, I'll pay for shipping and insurance. 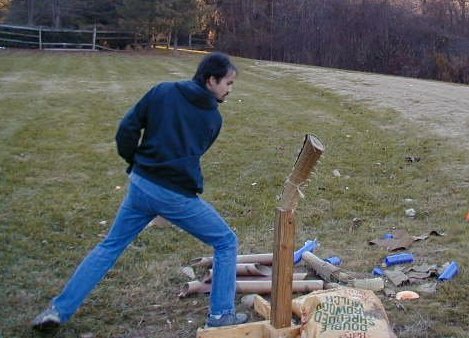 This sword is lightning fast. This is a very lightweight sword, but it shears through tatami with ease. It's been used for cutting tatami, bottles, and a few melons, but nothing heavy-duty. I'd been planning on sending it off to Christian Fletcher for some upgrades, but never got around to it. Entire hilt length: 9 1/4"
Width of blade above ricasso: 1 2/3"
Width of blade 1" from tip: 5/8"
I COULD consider a trade, but that's unlikely, and would have to be something pretty good for me to consider. It doesn't hurt to ask me, though.